This quick-and-easy guide shows you how to Install Kodi Diamond Dust Build. This build gives you some of the best Kodi addons available. Diamond Dust is a Kodi build that hosts some of the best Kodi addons for a terrific streaming experience. It is fast, lightweight, and extremely reliable. If you prefer to watch my YouTube Tutorial for installing this Kodi build, then watch the video below. Or if you prefer to read the written guide, scroll down past the YouTube tutorial. Enjoy! For these reasons and more, it has been chosen as one of the Best Kodi Builds by KFireTV. KFireTV suggests you reset Kodi to default settings prior to installing any build for best results. Click the link below to see how to reset Kodi on any operating system (Firestick, Android TV box, Windows, iOS, Mac, etc). Use the steps below to quickly install Kodi Diamond Dust Build on any Kodi device. Finally, restart Kodi and enjoy Kodi Diamond Dust Build! I strongly urge all Kodi users to use a VPN to protect their identity. VPN also secures your devices while streaming free movies, TV shows, sports, IPTV, and live channels. Your Internet Service Provider (aka “ISP”), your government, and thousands of hackers may log what you access online if you don’t use a VPN. I use IPVanish every day on all of my streaming TV devices. I strongly suggest that you use it too! Special IPVanish Promo – Get Lifetime IPVanish VPN Discount @ 60% off! IPVanish gives you a 7-day money-back guarantee. This helps you get your money back if you aren’t happy with the service. After you close Kodi, re-open Kodi to see your Build installation complete. Make sure you allow some time (a few minutes) for Kodi’s menus and add-ons to install prior to using the Diamond Dust Build. This usually takes a few minutes. Diamond Dust provides some of the Best Kodi Add-Ons available for streaming movies & TV shows. 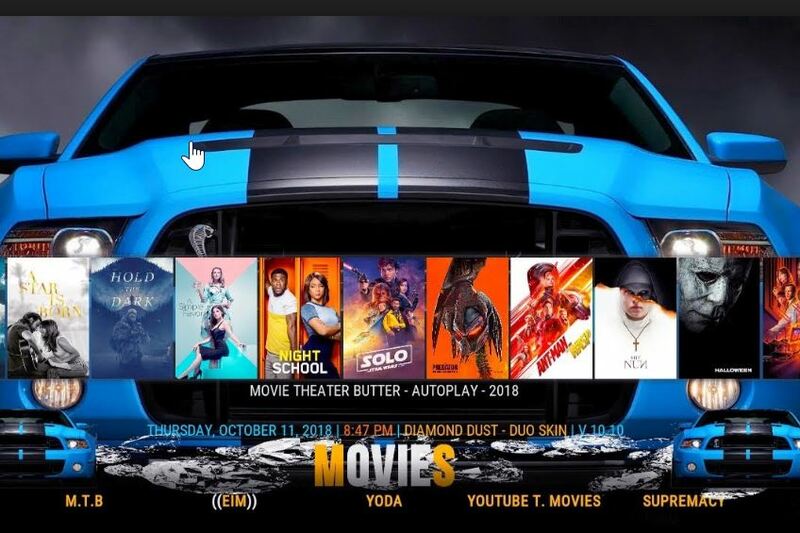 Some of the more popular Kodi addons included in Kodi Diamond Dust Build include: DeathStar, Selfless Lite, Supremacy, Aspis, Yoda, 7of9, Mobdro, Movie Theater Butter, SportsDevil, The Kratos, The Magic Dragon, TUBITV, WolfPack, YouTube, and more. The Movies Category in Diamond Dust Build works extremely well. Upon opening, select either 1080p or 720p Movies. After you do this, your film automatically plays (without the need to search for sources). TV Shows and other Sections in Kodi Diamond Dust seem to work extremely well also. However, the IPTV Category is a “hit and miss” experience in Kodi Diamond Dust build. If you want IPTV, I strongly suggest using Mobdro APK (for Firestick / Android) or Mobdro Kodi Addon for a smoother stream quality. Overall, Diamond Dust works almost perfectly on all Kodi devices, like the Amazon Firestick. Give Kodi Diamond Dust Build a try today and let us know what you think of it in the comment section below.